Thanks to NATOWatch for the following report regarding the future of Afghanistan to the attention of NATO Monitor. Oxfam, together with more than 20 other NGO partners, has published a joint position paper on the future of Afghanistan, ten years after the original Bonn conference, with a view to influencing the 5 December Conference that will examine longer term political perspectives for that country. Over the past decade, too much aid has been spent to meet the short-term military objectives of ISAF-contributing nations rather than to address the needs of Afghan men, women and children. Agree clear new commitments on how they will provide long-term development assistance in a coherent and sustainable way. Such assistance must address the needs and rights of Afghans, and not be subordinated to security and military objectives. It should not be overly focused on areas in the country affected by conflict at the expense of more peaceful, but still poor, areas. This would be the best for the economic development of the entire country, but it is not to say that the conflict ridden areas of Afghanistan do not need aid as part of reducing support for insurgents. The problem, of course, is that the Afghan government has next to no legitimacy, being fiscally corrupt and having been elected through a process that was so blatantly a perversion of the electoral process as to be meaningless. Unfortunately there is an assumption running through the position paper that the central government of Afghanistan can be brought to a position where it can have control of the entire country, something which has never really been the case. It is doubtful in the extreme if it can be brought about now. Neither ISAF nor international NGOs will be able to mould Afghanistan into a western vision of what it should be. The best that can be hoped for is that Afghans themselves, acting within their own cultural context, can act over time to repair the damage done by decades of outside intervention. The problem is, it means that in the future, interceptor missiles and other missile defense elements may be deployed close to the Russian borders and in adjacent seas. At the Russia-NATO summit in Lisbon a year ago, I suggested creating a joint missile defense system in Europe. We suggested that if we have to develop missile defense, it is better to do it together. We suggested making this system sector-based, with each party responsible for the corresponding sector. Moreover, we said we were open to suggestions from our NATO partners and could make necessary adjustments to this layout, as long as its key elements remain intact. And the key element is that Europe does not need new dividing lines. It needs a common security perimeter, with Russia participating in it as an equal partner. I am still convinced that such an approach would offer unique opportunities for Russia and NATO to develop a real strategic partnership, because friction and confrontation in our relations can be replaced with the principles of equality, indivisible security, mutual trust and predictability. Unfortunately, the United States, and later other NATO members, failed to demonstrate serious readiness to take this way. They are not going to take account of our concerns regarding the architecture of the European missile defense system. At least they are not doing it today. They merely tell us that their plans are not aimed against Russia. Leaving aside a discussion of the use of missile defence deployment, it has been clear for some time that there is no possibility of NATO entering into a genuinely cooperative programme with Russia, under which Russia would be a genuine partner. Any BMD system deployed to Europe would remain under NATO control. This is not an issue that can be looked at in isolation, but is a wider part of relations between the US, NATO and Russia. Other issues intimately bound up in the BMD question include the presence of some 180 US tactical nuclear weapons in Europe, and NATO's insistence that these can only be removed as part of an arms control deal involving the several thousand remaining Russian tactical nukes; the collapse of the Adapted Conventional Forces in Europe Treaty; NATO-Georgia relations; and the new NATO exercises designed to reassure the Baltic States that NATO is able to come to their defence in the unlikely event of war with Russia. The problem here is Russia's weakness rather than its strength. Russia now places the same reliance on tactical nuclear forces to outweigh a conventional imblanace in NATO's favour as NATO used in the reverse circumstance during the Cold War. In addition,t he Adapted CFE Treaty is seen as no longer meeting current conditions, where NATO heavily outnumbers Russia in conventional forces. The treaty constrains Russia within its own borders, in particular in the Caucasus, where it has a long term insurgency. First, I have instructed the Defense Ministry to immediately activate an early warning radar in Kaliningrad. Second, as part of the Russian aerospace defense program, Russia will urgently strengthen its defensive capabilities for Strategic Nuclear Forces installations. Third, strategic ballistic missiles coming into the arsenals of Russia's Strategic Missile Forces and the Navy will be fitted with advanced missile defense penetration systems and the latest effective warheads. Fourth, I have ordered the Armed Forces to develop a set of measures that will enable Russia, if necessary, to destroy the data exchange and control centers of the missile defense system. These measures are adequate, effective and cost-efficient. Fifth, if the aforementioned measures prove to be insufficient, the Russian Federation will deploy, along its western and southern borders, advanced offensive systems capable of destroying the European component of the missile defense system. This will include deploying Iskander missiles in Kaliningrad. Other measures aimed at neutralizing the European component of the US missile defense system will also be prepared and implemented if necessary. Next, if problems persist, Russia reserves the right to refrain from taking further steps as regards disarmament and arms control. Furthermore, considering that strategic offensive and defensive weapons are closely interrelated, Russia may have sufficient grounds to withdraw from the New START Treaty. Such a possibility is envisaged in the very idea of this treaty. The threat to move Iskander missiles to NATO's borders is most unfortunate and unhelpful. As is the threat to the New START treaty. In truth there is nothing here that will make Russia-NATO or Russia-US relations any better, or contribute to a solution to the BMD problem. 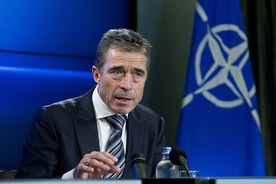 NATO Secretary General Anders Fogh Rasmussen has responded, but his statement is weak. He fails to acknowledge that NATO as a whole (especially the more easterly parts) is simply not ready to work with Russia as a parter, and that in the Baltic States, Poland and elsewhere the majority rather see Russia as a threat to be deterred and countered. In Russia, it seems for political reasons, the "threat" of NATO BMD is overblown. There is little to no prospect that this 'missile shield' will work, anymore than the systems the US has deployed to date. It will certainly not work against Russian strategic systems, especially if these are now fitted with simple countermeasures as Medvedev has ordered. Important questions remain unanswered. Is NATO really ready to restart the Cold War just to deploy and expensive and non-functional defence against a largely illusory missile threat? Does it not make much more sense to actually sit down with Russia as a partner and negotiat a security relationship that makes sense for both? The CFE Treaty, if it is to survive, needs to change to reflect the fact that since 1999 NATO has expanded to Russia's borders and is now the overwhelmingly most powerful military force in the world. Russia needs to recognise that its actions in Georgia, not to mention Chechenya and Dagestan, inspire fear in its other neighbours and it must seek a peaceful resolution of border disputes. The tiny US nuclear force in Europe should be withdrawn within US borders, and tactical nuclear forces should be part of talks between the US and Russia on all nuclear forces. After all, these tacnukes are at several months readiness, and the threat they were deployed to face no longer exists. And BMD needs to be put back into its box and left there. It doesn't work, it probably can't ever work, and the damage it is already doing to European security through this quarrel with Russia needs to be undone immediately. On 9 March this year in a Press Conference before ministerial meetings, Secretary General Rasmussen said the following, which shows exacty NATO's position. NATO and Russia would operate two completely separate missile defence systems. This position still has not changed, and that is what has caused the Russian pullout. NATO is not offering a partnership, so why would Russia cooperate? Q: ITAR-TASS News Agency, Denis Dubrovin. Secretary General, a step back from Libya to NATO-Russia cooperation in the area of missile defence. A few days ago our mutual friend James Appathurai has said in Washington that it's totally unacceptable for NATO, the proposals of the sectoral missile defence system in Europe, Russian proposals. So does it mean that we now have more misunderstandings in this area? Or how could you comment on this statement? Thank you very much. ANDERS FOGH RASMUSSEN: Yes, but that statement does not represent a new position. It is actually what has already been stated by NATO leaders already during our meeting in Lisbon. It's well-known that we have initiated a joint analysis as to how we can implement practical cooperation on missile defence. It is a joint analysis. Russia presents her ideas. We present our ideas, and I am quite optimistic that at the end of the day we will find a solution because we are faced with a common security challenge. I would like to stress that we want to pursue a cooperative approach, but we do believe that it is possible to really pursue a cooperative approach through a system which is based on a Russia missile defence system responsible for the protection of Russian territory and the Russian population and a NATO-based system responsible for the protection of NATO allies. Q: Yes, Secretary General, just a question on the loose weapons in Libya. As you mentioned the Security Council has already considered this and I understand that there's quite a lot of concern throughout Europe and in other countries that some of these weapons have already been smuggled out through Libya to Sub-Saharan Africa and across Egypt, perhaps to Gaza. Can you comment on that, please? Thank you. Anders Fogh Rasmussen: I have no exact information as regards to the possible smuggling of arms, but I would like to remind you that the arms embargo is still in place. We have terminated our Operation Unified Protector, including the enforcement of the arms embargo, but according to the United Nations Security Council Resolutions the arms embargo is still in place and it is a responsibility of individual nations now to enforce the arms embargo, including Libya's neighbours. And the UN Security Council has also clearly stated that it is a responsibility of the new political authorities in Libya to make sure that all weapons are properly controlled, monitored, secured, and eventually maybe also destroyed, if necessary. Oana Lungescu: Defence News at the back. Q: Secretary General, could you just confirm I've got it right on Libya that on the arms embargo, preventing proliferation of weapons then is just down to the regional countries? And do you... my follow-up question to that is, can you be confident that they're capable of doing that work alone? And thirdly, are there any circumstances in which NATO would help ensure that weapons are not crossing borders? Anders Fogh Rasmussen: The enforcement of the arms embargo is not just for Libya's neighbours or countries in the region. The arms embargo is still in place according to the United Nations mandate, so it is a responsibility of all members of the United Nations to enforce the arms embargo, including NATO Allies. As I said, NATO as such has terminated Operation Unified Protector, so it's not for NATO any longer to enforce the arms embargo as an alliance, but it's still the responsibility of individual Allies to implement the United Nations resolution as far as the arms embargo is concerned. And upon request from the new authorities in Libya, it is, of course, possible for individual nations, including NATO Allies, to assist the new authorities in Libya. That follows from international law that the legitimate government of a country can ask other countries to help enforce, for instance, an arms embargo or control arms smuggling or whatever. So, I would not exclude the possibility that individual Allies and individual nations in general can help the new authorities in Libya on their request. 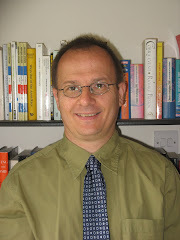 There are indeed very serious concerns that the outcome of Libya's short civil war will be bad for the region. Having gone far beyond a 'responsibility to protect' mandate in supporting the overthrow of the Gadhafi regime, NATO has some responsibility to assist in the prevention of weapons proliferation to conflict zones in Africa, or to terrorist organisations. Two real concerns currently exist. It is estimated that thousands of anti-aircraft missiles (MANPADS) which had been stockpiled by Gadhafi are now flowing out of Libya to the south. Two such weapons were used against an Israeli aircraft in East Africa in 2002, although the plane in question was not shot down. With thousands available on the black market now, the risk dramatically increases to civilian aircraft in the region. There are reports of RPGs and SA-7 MANPADS reaching Gaza (see here for example). Secondly, Tuareg tribes in northern Mali and Niger sent many fighters to support Gadhafi and these men are now returning to their own countries much better armed than before. A Tuareg rebellion in Mali was only ended in 2009, and there are reports (see this from AP for example) that Tuareg rebels are preparing a new insurrection against Bamako, fuelled by Libyan arms. Whatever the rights and wrongs of NATO's engagement in Libya over the past six months, it is clear that the Alliance and its member states must act proactively to assist the new Libyan government in dealing with this threat to state and human security. The NTC is not in charge of Libya at present, the 300 plus militia groups that actually fought the civil war are. The situation in the country is fragile. If NATO is really interested in protecting civilians then stemming the flood of SALW both within and out of Libya is a must. An interesting piece in Sunday's Zaman on the NATO, EU Turkey triangle. The vast preponderance of EU and NATO members have an interest in leaning hard on Greece to allow deeper cooperation between Turkey and the EU, and on Turkey to behave reasonably about Cyprus. This article is a good summary of the Turkish side of the security debate. Turkey has a vital role to play within the alliance as it engages more and more with the Muslim world, as the perspectives it brings are unique within the Alliance. It's time to put much more effort into this 'entrianglement', as Zaman puts it, to allow Turkey to play a fuller role. Bending towards the Turkish point of view could pay dividends in relations with Iran, for example, that will do much to enhance regional security, and that of the Alliance as a whole. That would be a much better use of effort than pandering to the Baltic States in preparing for a Russian attack that simply isn't coming.